Refer to the exhibit. Which protocol information is being displayed in the output? 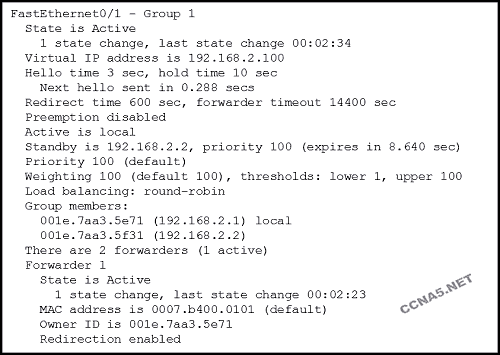 The spanning-tree (mode rapid-pvst, MODE RAPID-PVST) global configuration command is used to enable Rapid PVST+. 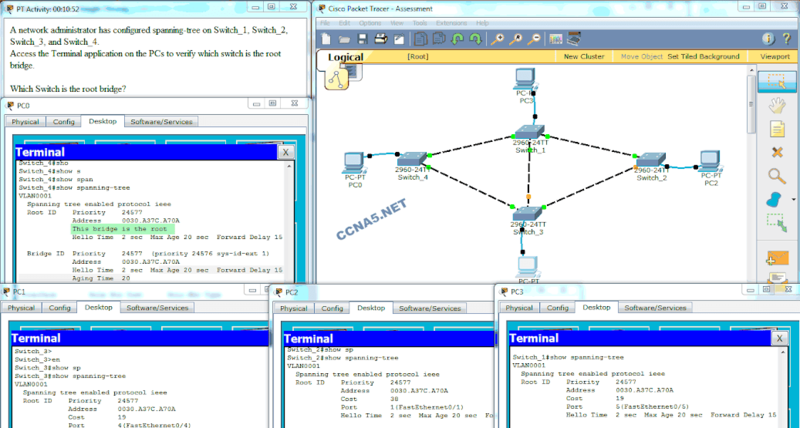 In FHRP operation, two or more routers are represented as a single (virtual, VIRTUAL) router. 21. Match the step number to the sequence of stages that occur during the HSRP failover process. The new forwarding router assumes both the IP and MAC address of the virtual router. The standby router assumes the role of the forwarding router. The standby router stops seeing hello messages from the forwarding router. 24. Which Cisco switch feature ensures that configured switch edge ports do not cause Layer 2 loops if a port is mistakenly connected to another switch? 25. What value determines the root bridge when all switches connected by trunk links have default STP configurations? 26. Which STP port role is adopted by a switch port if there is no other port with a lower cost to the root bridge? 27. What could be the effect of duplicate unicast frames arriving at a destination device due to multiple active alternative physical paths? The number of collision domains increases. The number of broadcast domains increases. 28. Refer to the exhibit. A network administrator configured routers R1 and R2 as part of HSRP group 1. After the routers have been reloaded, a user on Host1 complained of lack of connectivity to the Internet The network administrator issued the show standby brief command on both routers to verify the HSRP operations. In addition, the administrator observed the ARP table on Host1. Which entry should be seen in the ARP table on Host1 in order to gain connectivity to the Internet? 29. Refer to the exhibit. Which trunk link will not forward any traffic after the root bridge election process is complete? 30. Fill in the blank. Use a number. The default hello timer value for STP BPDU frames is (2) seconds. 31. Fill in the blank. Do not abbreviate. 32. 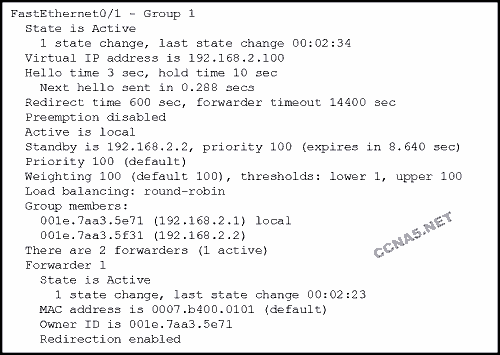 Which is the default STP operation mode on Cisco Catalyst switches?